OTTAWA — Marilyn J. “Mert” Burkhart, 59, of Ottawa died 10:48 p.m. Thursday, March 7, 2019 at Mercy Health Putnam Medical Center, Glandorf. She was born May 5, 1959 to Joseph B. and Helen M. (Siefker) Gerding, Jr. Her father is deceased and her Mother survives in Ottawa. On September 10, 1994 she married Richard Burkhart, who survives in Ottawa. Mert is survived by three brothers: Dennis J. (Shirley) Gerding of Columbus Grove, Allan D. (Mary Ann) Gerding of Ottawa, and David G. (Barbara) Gerding of Delphos; four sisters: Julie M. (Gilbert) Riepenhoff of Glandorf, Susan A. (Rick) Erhart of Ottawa, Joann R. Gerding of Ottawa and Jeanne M. (Gary) Zeller of Kalida; a sister-in-law: Linda K. Burkhart of Columbus Grove; and a brother-in-law: David J. 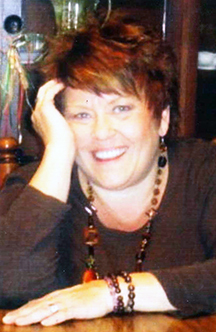 (Donna) Burkhart of Cairo. Mert was a hairdresser at Cut To Order, Ottawa. She was a member of Sts. Peter and Paul Catholic Church, Ottawa. She was a 4H advisor and loved spending her time at Grand Lake St. Mary’s, especially the Kozy Kampground. She enjoyed watching all her nieces and nephews and their many activities. A Celebration of Life will be held at 2 p.m. on Saturday, April 6, 2019 at Glandorf Rod and Gun, 8585 Rd. 11, Ottawa. In lieu of flowers, memorials may be made to the donor’s choice. The arrangements are under the direction of Heitmeyer Funeral Home, Columbus Grove.